HK33 93 30RD MAGAZINE PROMAG U.S.
U.S. made HK93 30rd magazine. Counts as (3) U.S. 922r compliance parts! 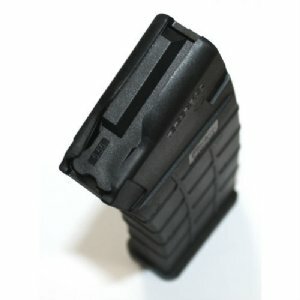 Perfect for your HK33, HK53, HK93 or similar clone. 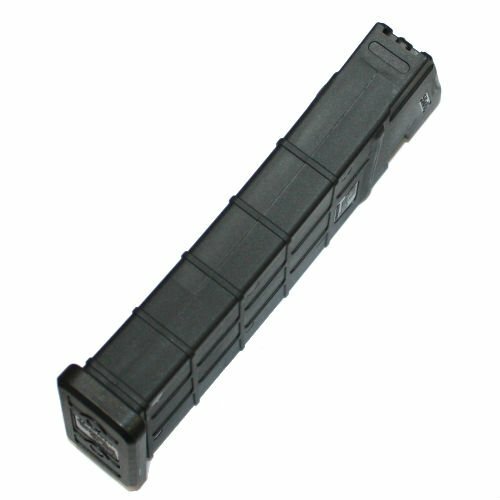 Good quality American made magazine for your HK93 or clone. These fit perfectly in original German guns but might require fitting in Century C93 or other clones using receivers that are not 100% to spec. A great deal on hard to find HK93 magazines and the nicest Promag product we have ever seen. Product Review: I ordered one for my C93, I had to do a little fitting to get it to lock in, but other than that it works perfectly. I'll be ordering more soon! Product Review: I was skeptical going into this mag. However, my fears were found to be unjust. 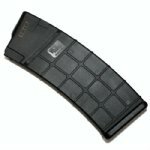 Mag fits, locks in and feeds like a dream. No qualms at all. Product Review: BOUGHT TWO TO USE IN A C-93 PISTOL. ATTEMPTED TO FIT AS THEY WOULD NOT LOCK IN. I THREW ONE AWAY AND THE SECOND WILL STAY IN UNLESS YOU YANK ON IT. I WOULDN''T RECOMEND FOR A CLONE....! Product Review: Better than expected. Maybe I had low expectations. This looks great, fits fine, works fine. Just ordered two more.